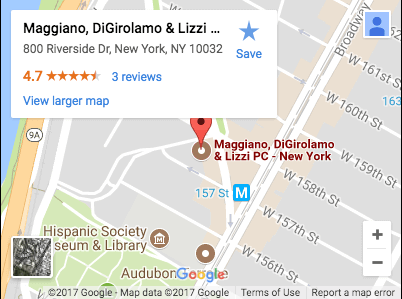 New Jersey Recreational Injury Lawyer | Maggiano, DiGirolamo & Lizzi P.C. Participation in sports and other recreational activities improves the lives of millions of Americans every year. Unfortunately, these activities also carry a significant risk of injury. More than 20 percent of all emergency room visits are the result of sports-related injuries, adding up to more than 10,000 patients per day, according to the Centers for Disease Control and Prevention. Children younger than 15 account for about 40 percent of sports-related emergency room visits, most likely due to undeveloped coordination, skills, or perception. Young adults and adolescents younger than 25 make up another third of sports-related injuries. If you or your child has been injured during a sporting event or recreational activity as a result of someone else’s negligence, contact an experienced attorney right away. Proving fault in a sports injury case can be very complex, and it is important to start the process as soon as possible. What Are the Different Types of Recreational Injuries? Nearly every sports or recreation activity carries some kind of risk of injury, including basketball, hockey, football, boating, biking, skiing, swimming, weight-lifting, aerobics, and jogging. Contact sports like football and hockey account for the largest number of sports-related injuries, as would be expected. But activities like swimming and aerobics still carry major risks if the participant is unprepared, untrained, or unsupervised. Maggiano, DiGirolamo & Lizzi handle three major types of sports and recreation accidents: equipment accidents, premises accidents, and negligent individuals. Equipment accidents are caused by dangerous or defective equipment, including broken gym equipment, improperly installed basketball hoops, bicycle frame failure, faulty safety equipment, defective helmets, and more. If the equipment fails to work or is designed incorrectly, the manufacturer or installer could be held liable for a recreational injury. Premises accidents are caused by dangerous property conditions, including slippery gym floors, dangerous playground equipment, lack of security on the premises, failure to provide proper safety equipment, failure to maintain fields or equipment, and more. The school or property owner in question has a duty to keep fields, playgrounds, and other recreation equipment in safe, working condition. Playground injuries are also a major concern for parents of young children. The majority of playground injuries occur at schools and daycare centers, and nearly half of playground-related injuries are fractures, internal injuries, concussions, dislocations, or amputations. Of the 147 children who suffered fatal playground injuries between 1990 and 2000, 56 percent were due to strangulation and 20 percent were due to falls to the playground surface. A New York City study found that playgrounds in low-income neighborhoods had more hazards due to lack of maintenance, such as trash, rusty play equipment, and damaged or worn-down fall surfaces. This lack of maintenance is troubling for parents and highlights the danger of neglected recreational equipment. Negligent individuals such as coaches, leagues, healthcare providers, or supervisors can cause sports-related accidents. Negligent actions include putting a player with a concussion back in the game, failing to supervise a group of children on the playground, requiring players to comply with physically straining standards, or failing to accurately diagnose a sports-related condition before it turns into something more serious. What Recreational Injuries are Most Common? Depending on the sport and the level of play, recreational injuries can vary widely. According to a 2005 study, the most commonly injured body regions in outdoor recreational activities are the legs and feet (27 percent), arms and hands (25 percent), and the head and neck (23 percent). Fractures are the most common diagnosis, followed by sprains or strains (at 27.4 percent and 23.9 percent, respectively). Traumatic brain injuries made up 6.5 percent of injuries, and 5 percent of injuries require hospitalization or transfer to another medical facility. How Is Fault Determined in Recreational Injury Cases? Determining responsibility in a sports accident case can be extremely difficult. Companies, coaches, property owners, and equipment manufacturers will often argue that you consented to some risk of injury simply by participating in the sport or activity. However, the acceptance of a certain level of risk does not absolve those in charge of any responsibility. The understanding of risk only applies to risks that are reasonable and foreseeable. For example, say two different baseball players are injured during a game; one was hit by a wild throw and suffered a broken finger, and the other was cut by a rusty nail while sliding into third base. The player with the broken finger would have a hard time proving negligence because wild throws are a regular part of the sport. However, being cut by a rusty nail while sliding into third base is not a risk inherent in baseball; there is potential for a personal injury suit because someone else’s negligence (in this case, lack of maintenance) led to the injury. In addition, signing a waiver of liability or a release form does not necessarily mean you have given up your right to compensation. If the terms of the release are unfair or unenforceable, the actions of the company could be grossly negligent or reckless. A waiver does not always trump the responsibility of the negligent party; you have rights, and those cannot be signed away with a non-legally binding release form. Whether it was a coach who cleared a team member to play after a concussion, a facility that failed to keep the court safe, or a company that manufactured defective safety equipment, consulting an experienced personal injury attorney is the best course of action. If you or your child has suffered a serious injury during a sport or other recreational activity, you deserve an attorney who will investigate fully and fight for you in court. Maggiano, DiGirolamo & Lizzi will take the necessary steps to determine fault and hold the negligent party accountable. Contact us at (201) 585-9111 or fill out a quick inquiry form to schedule your free and confidential consultation. Maggiano, DiGirolamo & Lizzi have the expertise and trial experience you need to get full compensation for your injuries.